It’s the beginning of a new year and time to look back on the year that was, and in most movie communities that also means awards season. I tend to be a bit of a completest when it comes to lists so I’m really glad that this year I was able to accomplish my goal to watch all 29 superhero and comic book films that came out in 2014. There are a few in here that have questionable release dates where some people got to see them early in festivals and small screenings, there are also a couple questionable inclusions and a couple questionable exclusions. But it is my list and I do have my reasons for not including some of them, like Transformers which has been a comic book, but it was a toy line and cartoon before then, and Noah which was adapted into both a comic and feature film simultaneously. And on the other side of things Birdman has a questionable connection to superheroes, but it does capture superhero culture within Hollywood, Edge of Tomorrow was originally a novel but was adapted into a Manga before the film adaptation came about, and the Lego Movie isn’t exactly a superhero movie though it does have superheroes in it. But whatever, I just want to celebrate the films that I enjoyed this year and forget about the ones that I excluded for now. In fact, I had such a great year in general, that I couldn’t narrow down my list of favorites to 10 so I have a couple lists for you so I can feature just over half of the films that I saw this year, excluding the brilliant documentary Legends of the Knight because it made my list last year. This was a film that I hadn’t heard of until late in the year when I caught an interview with the director on the podcast Superhero Speak. I initially wasn’t sure about it because the trailer made it sound like it was the Real World with superheroes which would have felt very dated. But next to another movie on this list, this made me laugh the most. It has a lot of really funny moments throughout the film. Almost by its nature it’s not one of the most well made films on this list, but just by virtue of its humor I wanted to recognize it for that. Another indie film, but of the three I believe this one is the most well made of the bunch and had the greatest reach as it did get some DVD distribution. It’s pretty unique in its setting as it’s a period noir superhero film set in the 40’s. Sparks starts out as a wannabe superhero with a tragic backstory befitting of a typical superhero but he ends up getting caught up in a murder mystery combined with a heist and a revenge scheme. There’s several different twists and turns but I really enjoyed it for how different it was compared to most superhero movies. I’m glad I waited until watching this before making my list. Of these three independent, low budget, superhero movies this was the one I ultimately liked the best. And what I loved about all three of them and why I wanted to include them all in this list is that they are not only so much different from the Hollywood superhero movies, but they are also very different from each other. 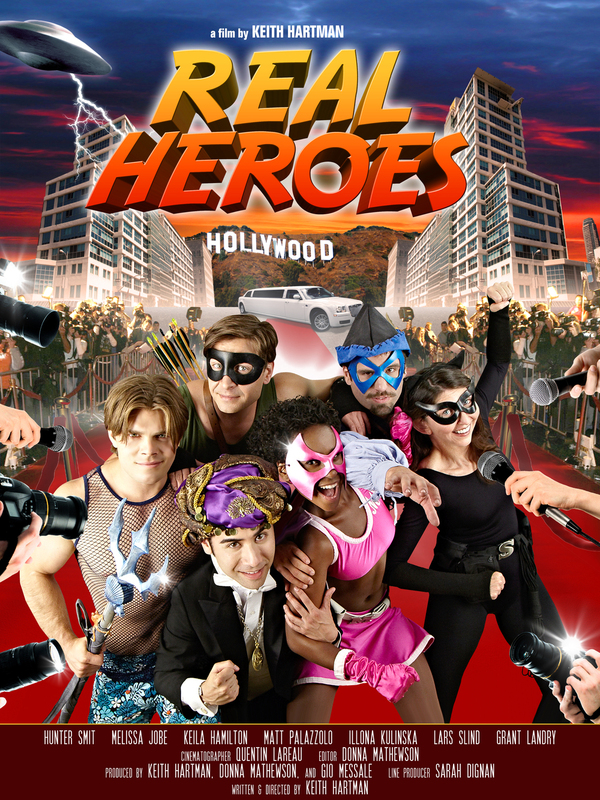 This is another comedy, but it’s got a lot more mystery and drama than Real Heroes does. It treats the main character much more like a real person than a caricature or cartoon. He may be someone with powers in a world where superheroes exist, but he feels much more like a real person than most of the other. The first Oscar nominated feature to appear on this list and it won’t be the last. I saw this in its opening weekend on my daughter’s 8th birthday and it did not disappoint. I currently have Baymax’s fist bump sound as my e-mail notification sound on my phone. It’s no exaggeration to say that I really loved this movie and Baymax is around 90% of that love. Not to mention the fact that while there’s been controversy over how white the Oscars are, this film is very much not-white centric with an overwhelming Asian presence in the design and a nice mix of ethnicity in the main characters. It also didn’t shy away from some real world problems that people actually face in the day to day world like the death of a family member. It just has a great mix of comedy, action, and heart that made me leave the theater with a huge smile on my face for a long while to come. This film is to the X-Men franchise as The Avengers is to the Marvel Cinematic Universe. Sometimes the sum is greater than the whole of its parts. After waxing and waning, with a little too much waning, X-Men finally got a breath of fresh air by combining the herald of the modern superhero movie Bryan Singer with Matthew Vaughn who had success in bringing the younger X-Men to life in First Class. The two of them crafted an excellent movie with some of the best action scenes in a superhero movie ever during the fight scenes with the future sentinels. It also combines some of the best elements of time travel and one of the best scenes of the year with Quicksilver’s Time in a Bottle scene. 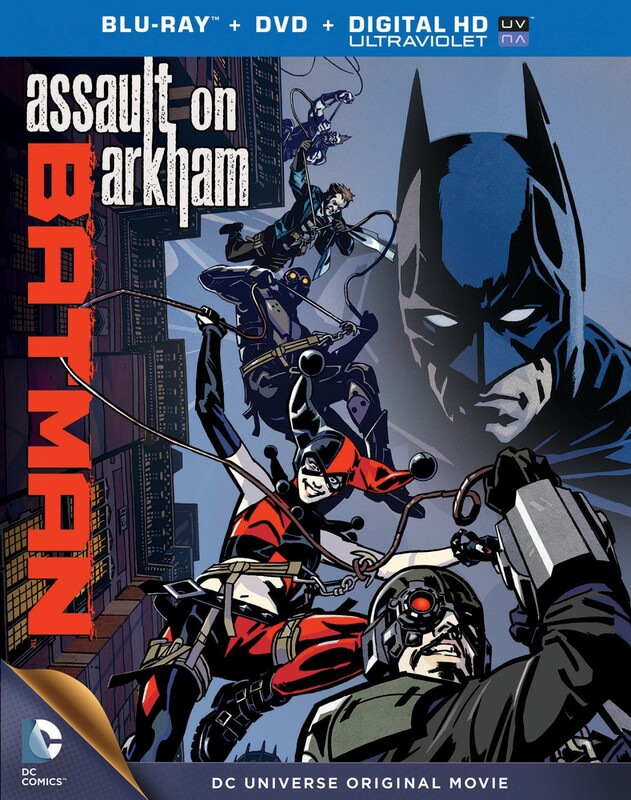 I wasn’t sure what to make of this when it was announced, it was the first DC Animated film to take place within the world of the Arkham games which I had never played. I also had only vaguely heard of the Suicide Squad so when I pushed play it was a complete surprise to have a film essentially headlined by one of my favorite Batman characters, Harley Quinn. It has a great heist vibe to it with an almost 70’s cop style opening. It continues to stretch the lines of a PG-13 in the animated realm with the exploding heads and sexual innuendo, I will never think of the term “Yahtzee” in the same way again, but I just loved this film and I just hope that the live action movie comes close to the same tone that this one had. Marvel really had a stellar year in 2014 and it came out running with an early lead when Captain America became not-exactly-a-surprise-hit in April, almost a full month before the typical start of summer. I was relatively lukewarm on the first Captain America, but this second one hit all the right notes. There was some amazing action, from Nick Fury’s car chase scene to the battle with the Winter Soldier on the roads and everything inbetween. The character interactions between Cap, Black Widow, and Falcon were also pretty stellar. There may have been a few plot holes here and there, but for the most part, I was just along for the ride and it was a great ride at that. The top three spots on this list were some of the hardest to put in a certain order because I absolutely loved them all equally for almost different reasons, though two of them did have the same star in the lead role and two of them featured someone who had played Batman. 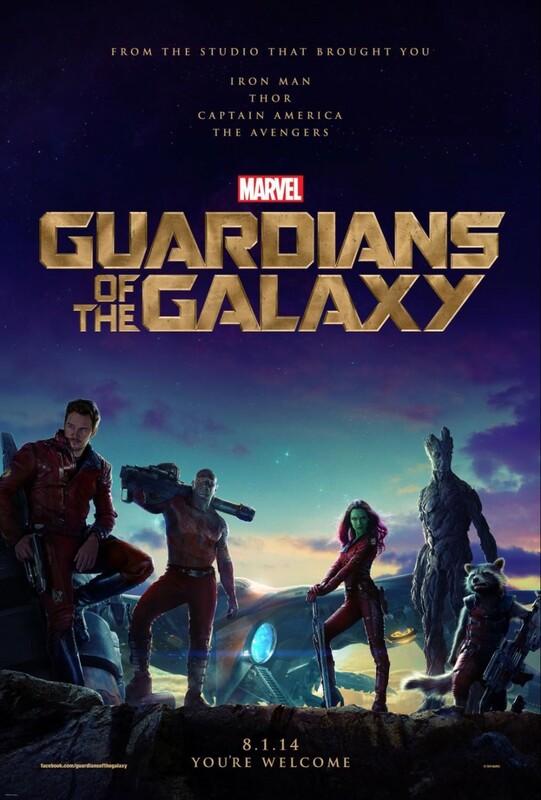 Guardians was absolute fun and I was one of the ones who knew this would be a great film from the announcement of the writer/director James Gunn. He’s had just a completely interesting career and has a quirky sense of humor that really meshed well with Marvel’s style. It’s very much a standard tale of the reluctant heroes coming together to fight against a common foe and end up saving the day and becoming a surrogate family, but it’s just so fantastic to watch. It’s hilarious, the soundtrack is wonderful, and it’s just fun in every single way. I’m not going to use the quote that everyone does when they describe this movie, but it’s still appropriate. I grew up with Legos and I had that blue spaceman though I took better care of mine and I don’t believe his helmet ever cracked like that at the bottom. Like Guardians of the Galaxy before it on the list, this is another standard plot where Emmett takes the hero’s journey, but it’s just done so well and has so many great gags that it is hilarious from beginning to end. I also really loved the real world moments at the end of the movie that give it the right amount of heart so that the humor isn’t completely hollow. And besides everything else, the tech behind the animation in this film to simulate Lego stop-motion with CGI is completely stunning. Love love love this film. It’s rare that I agree with the Oscars, I’ve only seen around a dozen or so Best Picture winners and rarely see even one nominee unless it’s the token pop culture nod. This is the only film that I saw that was nominated for anything aside from Big Hero 6’s Best Animated Feature and a few technical nods. I’m glad that I live near a major metropolitan area because I did get the chance to see this film in theaters and I was really blown away by it. The cinematography and camerawork was gorgeous. It may have been a gimmick to have the film look like it was nearly one continuous shot, but it worked so well for the flow of the film where the camera would seamlessly flow between one room to another in the same way that the actors would seamlessly flow between their “real life” personas right into the characters they were rehearsing for the play. Keaton gives a brilliant performance during the acting moments, the crazed Birdman hallucinations, and the moments where the walls break down and we get to see insight into the real Riggan Thomson. 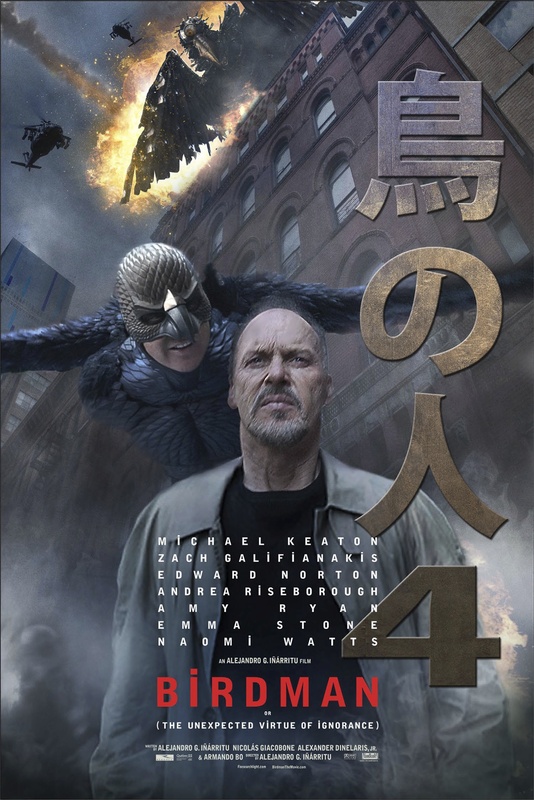 This was my favorite superhero film of the year even if some may call it a bit of a cheat as the Birdman element is supposedly all in his head. Brilliant film and I would be above the moon if it won Best Picture this year at the Oscars. I caught up with this one fairly recently based on Andrew Robinson’s recommendation. 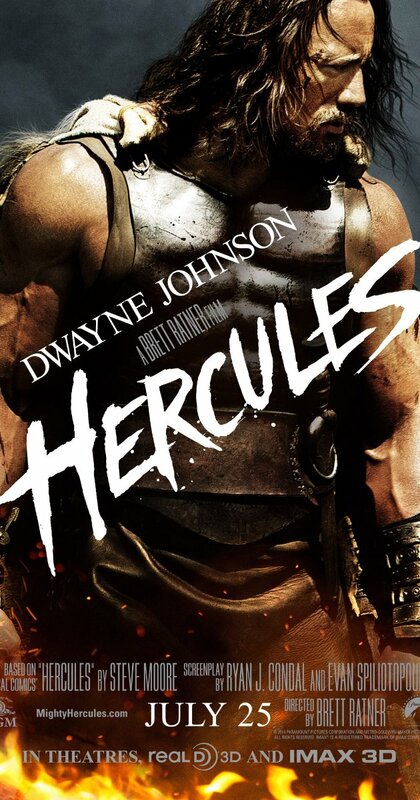 It’s based on the comic Hercules the Thracian Wars by Steve Moore and Cris Bolson. When I was young, I was a huge mythology geek. I watched the entire Kevin Sorbo series, but it’s been long enough that I don’t remember all of the details. I’m also not a stickler when it comes to staying true to the source material, and this is not staying true to the source material as in the original myths. But what it does do is take an interesting look at myths and legends and the difference between a story and reality, though there is still enough action to satiate fans of Dwayne Johnson. I heard about this movie fairly late in the year and it had a very limited run in theaters before going straight to home video and VOD. It’s based on the comic by Daniel Schaffer and shares several great visual elements from the book. It’s a great example of an untrustworthy narrator as it quickly sets up the fact that Suki played by Katie Cassidy has Disassociative Identity Disorder and has been undergoing treatment for it. I like to compare it to a combination of Fight Club, Girl Interrupted, and The Cell. It has the dinginess and narrative similarity to Fight Club, the cast of crazies like Girl Interrupted, and some striking visual elements like the Cell. I really enjoyed the movie and it was one of the few that I watched twice this year. This was one of only two foreign movies that I watched this year and I’m quite glad I got the chance to see it. It’s the least comic book-y film from this year though it was based on the comic Never Goodnight by Coco Mooysson. 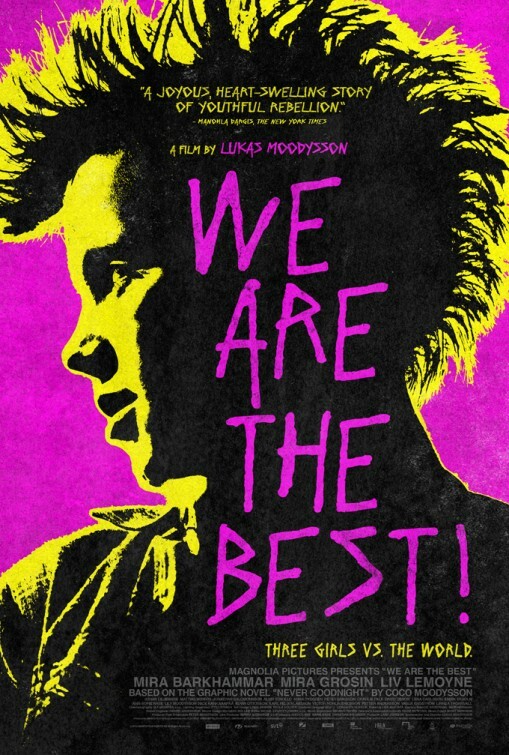 It’s an 80’s punk rock coming of age film about a young girl in Stockholm, Sweden. The best thing about this film is the realism present. I haven’t seen Boyhood, but based on what I’ve heard of it, this could go right alongside it. The three young girls were pitch perfect even though two of them had absolutely no pitch whatever in their music. Luckily that almost completely embodies the spirit of punk rock in the 80’s. It has a great timelessness to it, but also had to be set back in the 80’s. Really beautiful and quite funny at times as well. Next to superheroes, I am a big fan of sci-fi and time travel, especially time loops. And this movie combined them in the best ways possible. It’s based on an illustrated novel All You Need is Kill by Hiroshi Sakurazaka and Yoshitoshi Abe which was also adapted into a Japanese Manga a few months before the movie was released. I never really fell off the Tom Cruise bandwagon like many other people have, and it’s one of his better performances where he doesn’t start out as the typical hero and in fact is the complete opposite. The aliens in this film are some of the most visually interesting, seriously they look and move absolutely amazingly. Even the entire supporting cast was great, especially Emily Blunt, and while some people had issues with the happy ending, I thought it was earned and had an acceptable explanation within the context of the film. If I were to have combined these lists, this would be yet another film vying for its place with the other top 3 superhero movies. I’ve seen a bit of hate for this film here and there, but I completely fell in love with it. It’s based on the French comic Le Transperceneige by Jacques Lob and Jean-Marc Rochette. The premise may seem a little ridiculous where the last people on Earth after a second ice age are in a single train running on a track across the world with a perpetual engine designed by Ed Harris. It is another visually stunning film during many moments of it, from one of the most talked about scenes with the men in masks with hatchets in the dark, the schoolcar scene, some of the fantastically designed railroad cars, to Chris Evans’ performance as Curtis, and Tilda Swinton’s performance. There is some great social commentary and a group of interesting characters that we follow through this straight line to the front of the train which becomes brilliant in its simplicity. The only issue I have with this film is one I didn’t have with Edge of Tomorrow was the ending which stretched the point of believability just a little too far for me even if it was meant to be more of a thematic ending than a literal one. Posted on January 21, 2015, in Lists and tagged 2014, comic book, film, list, movies, Superhero, superheroes. Bookmark the permalink. 15 Comments. Glad to hear it, thanks for stopping by! I still need to see Birdman. After that, I’ve seen 2 through 6 on the superhero movie list. I’d probably flip flop Guardians and Winter Soldier then do the same for Assault on Arkham and Days of Future Past. All are very good and I can’t really argue with the way you have it. Planning on posting my review of Assault on Arkham soon. Maybe this weekend. 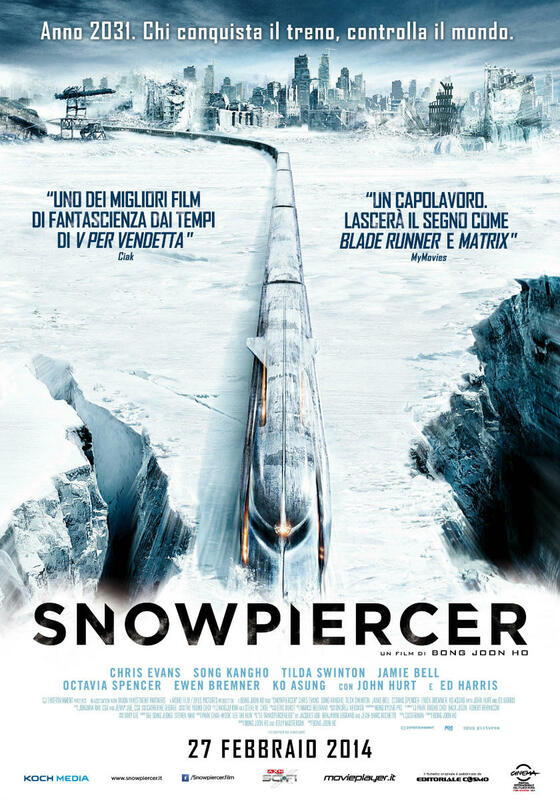 Haven’t seen any on the comic book list, yet, but I had no idea Snowpiercer was based on a comic. Great work, as always. 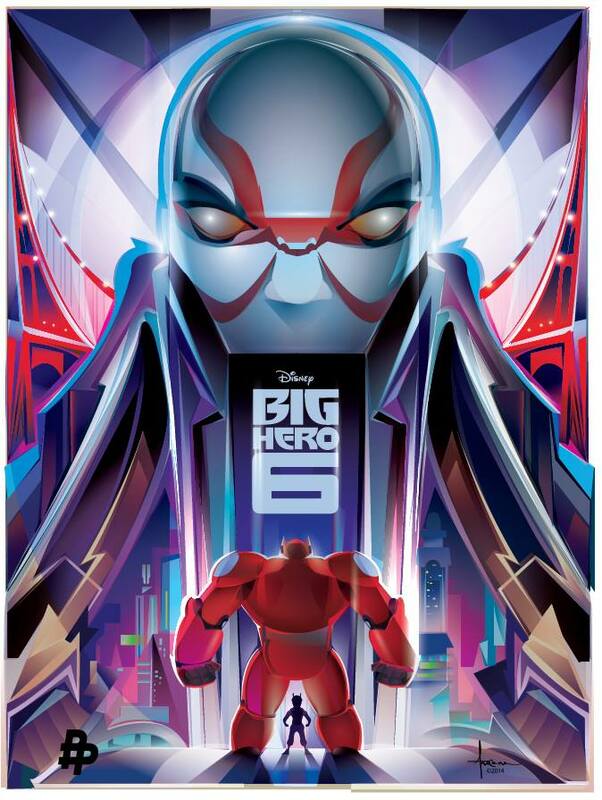 Both Birdman and Big Hero 6 are excellent. As are all the comic book films, I love realizing certain movies that aren’t the typical action/adventure genre are actually based on comic books. Love seeing We Are the Best and Guardians of the Galaxy up there, and I, again, love how you highlight films no one has even heard of! I won’t say that they’ll get a huge bump from being featured here, but if at least one other person checks them out and enjoys them then I feel like I’ve done my job. Snowpiercer was a major surprise for me. It was free on Netflix and I just decided to watch it. Great movie. Definitely agreed, glad to see Bong Joon-Ho make a critically successful English debut and hope to see more from him in the future. Great list. BH6 was good but I was a little underwhelmed. The Quicksilver scene from X-Men was amazing, probably my favorite scene of the year. Shame Patrick Stewart and Ian McKellen won’t be coming back for Apocalypse. Hopefully Hugh Jackman comes back somehow. Assault on Arkham sounds cool, I’ll have to look out for it. The Winter Soldier was my favorite film of 2014. What can I say about GotG that hasn’t already been said? Lego was great. I didn’t care that much for Birdman to be honest. Assault on Arkham is very fun, came out early summer on home video. I can’t wait until the Rogue cut comes out for X-Men, really curious to see how much added footage gets put into it and will be a good excuse to see it again. The fun thing is, there were so many good ones that even I liked everything on your list here and normally this is not a genre that appeals to me. One of my favorite things to say when it comes to superhero movies is that like animation, I don’t like to call it a genre. While it’s true that many of them fall into the same genre, it’s the great ones that work their way out of that genre even if only a little. And many of the films this year did just that. Thanks for stopping by! Wow that was quick, when I did my podcast on the first Antboy in… October I think, it seemed like he was only just announcing they were working on a sequel.